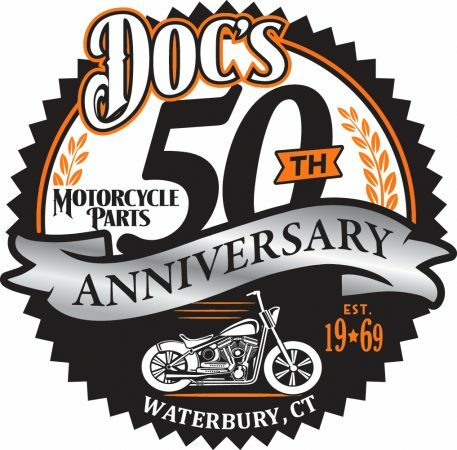 TOLLAND, MA – Most every year on the third weekend of May, dual-sport and adventure riders in the region kick-start their riding season with two days of dirty fun at the Berkshire Big Adventure (BBA). 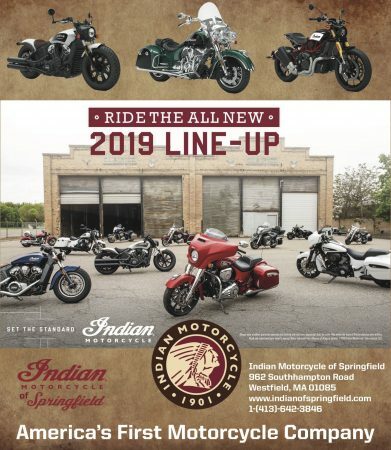 Hosted by Berkshire Trail Riders (BTR), this event is open to small to large displacement, road-registered, dirt-friendly machines. The entry fee is $55 per day with a slight discount for those registering in advance. The first 10 BBAs were single-day events. The two-day format began when it became an AMA event in 2013. After a one year hiatus, BTR brought the BBA back again this year for an 11th time on May 21st-22nd. Mother Nature cooperated with some decent weather to make the weekend a success. Event officials mentioned good weather was in short supply in the past with rain dousing eight of the first 10 years with snow flurries blessing the event one year. Berkshire Trail Riders invest much time and effort into making each BBA a success. 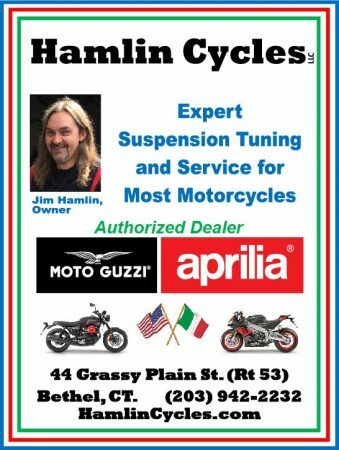 Founded in the early 70’s as the Foothill Trail Riders and later incorporated in 1992, BTR has been advocating responsible off-road motorcycle riding and competition in the greater New England region for nearly 50 years. They treasure the trails they ride, actively promoting their preservation through ongoing trail maintenance, while working alongside various local, state, and federal agencies. 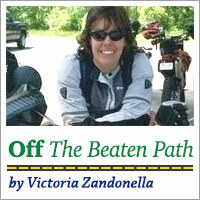 BTR has many club members who spend more time working on trails than riding them. And, they have become a good citizen in the local community by giving back money raised through hosted events to support local EMS and fire departments. This year’s BBA event featured two courses over the weekend. Saturday’s run was a 140-mile route with multiple optional “hero” sections featured. Sunday’s route, while a bit shorter at 120 miles, made up for it with a bit more of a challenge in the hero section offerings on the day. The BTR made attending the entire weekend easy, providing free onsite primitive camp space where campers are also allowed. In addition, BTR provides the names of nearby campgrounds and lodging accommodations on their BBA event page. Saturday’s route headed north from the start point in Tolland, MA, meandering along the improved and class IV unimproved dirt roads and trails of the Berkshires. Some very nice scenic and twisty paved sections were also added in, leading riders as far north as Savoy State Forest before looping back to the start location. Some 125 riders from all over the Northeast participated in the event. Plates from as far away as Delaware were spied on route. 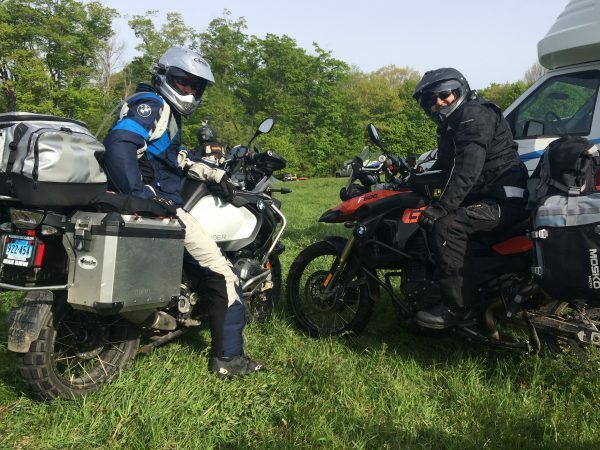 Northeast Dualsport Riders (NDR) was represented with 32 riders attending and tackling the varying terrain – from smooth fast dirt roads, to greasy mud-filled bog areas that sunk our bikes down to the axles as we trudged through. Rocks, roots, ominous mud puddles were all par for the course along the daily route. 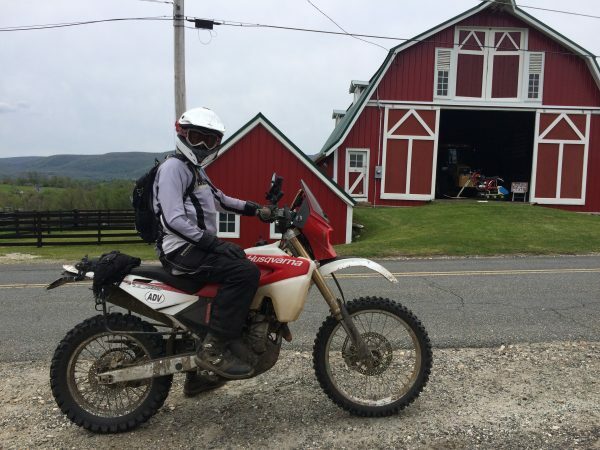 Each day’s route even included a stop at Jim Hollerich’s Museum of Vintage Trail Bikes in Cheshire, MA, overlooking majestic Mount Greylock, the highest peak in Massachusetts. 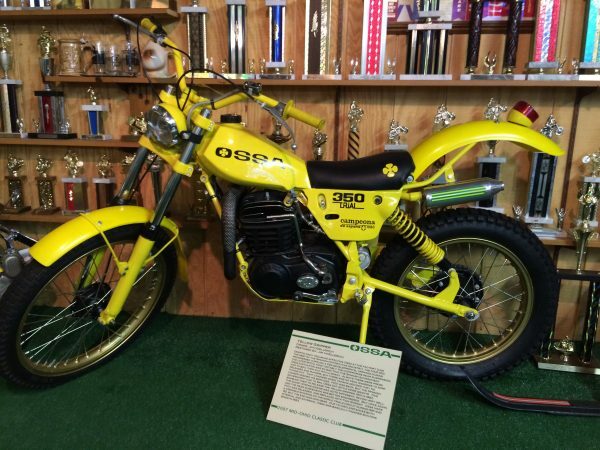 The museum features several classic dirt steeds such as Ossa, Yankee, Bultaco, and other memorable brands. 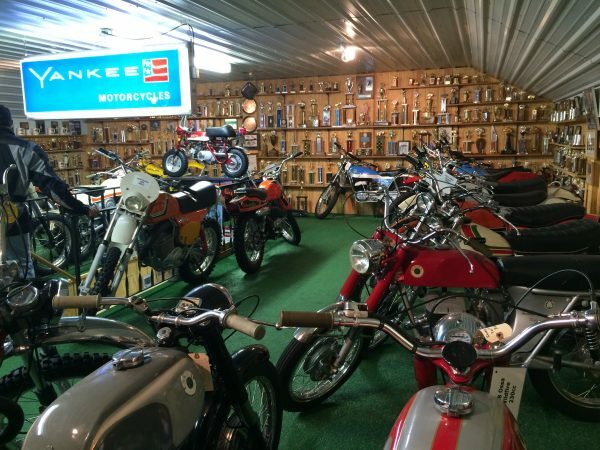 Hollerich, the museum founder/owner, was kind enough to open his doors to all BBA participants who were wowed at the extensive and most pristine collection of motorcycles from days gone by. 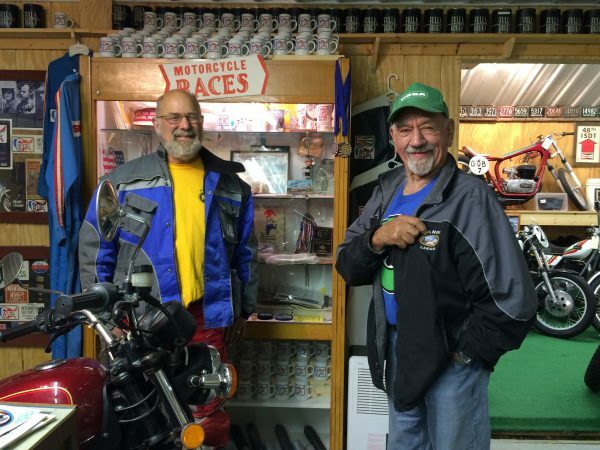 It was nice to see the museum tip jar overflowing from visiting riders to help fund the continued celebration of these well preserved pieces of motorcycling history. As we rolled along the route on the way back south, we were also treated with some area wildlife. A baby bear cub ran across our path, thankfully mom was nowhere in sight. We were then dive-bombed by a sizable pileated woodpecker with his flaming red head. And of course, what would off-road riding in New England be without the ever present black flies – tis the season! What was really nice to see in this event was all the camaraderie of the participants as they helped each other pick up fallen bikes, repair broken ones, and provide assistance to keep everyone rolling, with BTR sweeper crews bringing up the rear in support to ensure no one was left stranded on course. Over the weekend, several strangers bonded and came away as friends – one of the most wonderful happenings that often occurs in the world of off-piste riding. 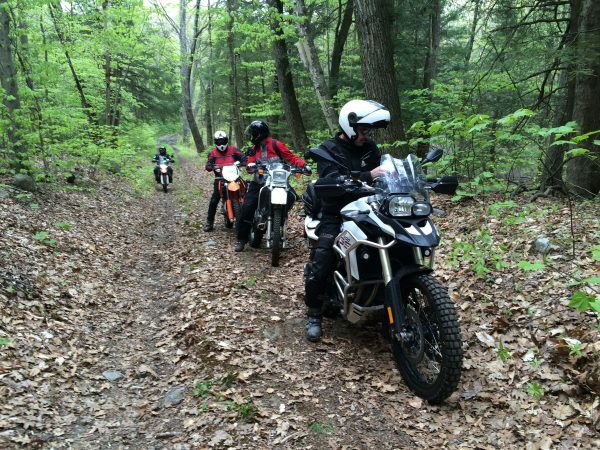 Many thanks to the BTR team for providing such a wonderful venue for dual-sport and adventure enthusiasts to enjoy – a true taste of New England riding. 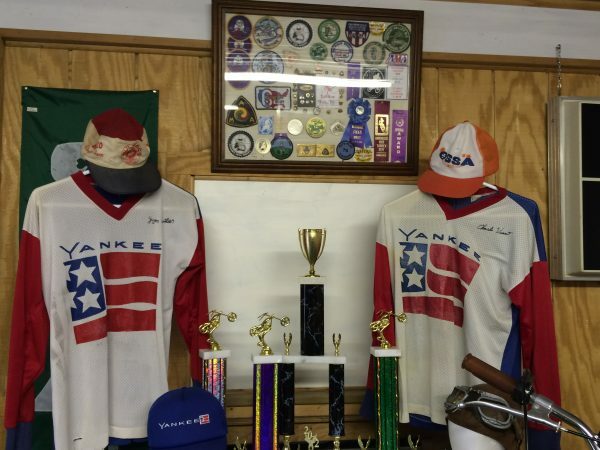 It’s nice to know that we not only were able to enjoy riding some of the most pristine dual-sport terrain in New England, but also were able to support a great organization that gives back to the local community. NDR will most certainly be coming back in future years! 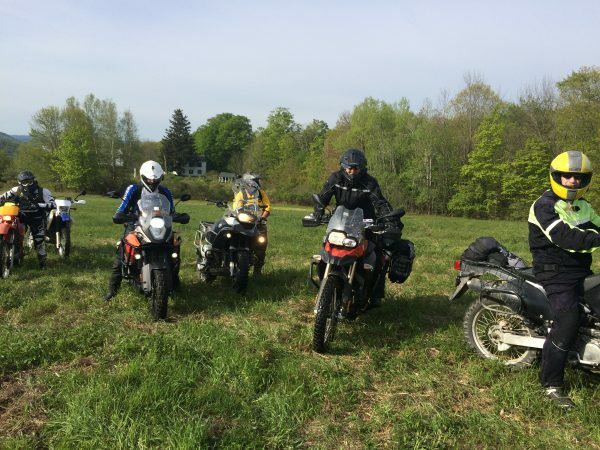 To learn more about this year’s running of the BBA, feel free to check out the AdventureRider.com BBA 2016 thread that reviews this year’s event in more detail along with the Berkshire Trail Riders’ Facebook page. A native of Trumbull, CT who currently resides in Bridgewater, Victoria Zandonella is the founder and organizer of the Northeast Dualsport Riders. She got her “M” endorsement at age 16, but left riding in her late 20s. 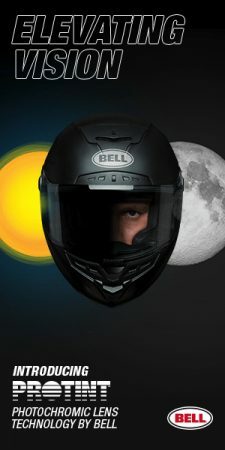 She came back after a hiatus of more than 20 years and owns a 2008 Yamaha XT250, a 2005 BMW F 650 GS and a 2016 Zongshen / CSC RX3 Cyclone for dirt road touring. She has a B.S. degree in Business Management from Fairfield University.